Are you looking for a job description of a medical assistant? Individuals who work as medical assistants may perform a variety of clinical and administrative tasks. A medical assistant is just that: someone who helps the doctor with general, day-to-day tasks of running a medical office.The job description of a medical assistant will vary from one practice to another. In some cases, the job will require only administrative tasks, while in others the job will be purely clinical. Some medical assistants perform a variety of clinical and administrative duties. Administrative tasks often performed by medical assistants include bookkeeping, filing, data entry and answering phones. They also sometimes handle tasks like ordering supplies, maintaining current equipment, patient and insurance billing, and even overseeing other employees. 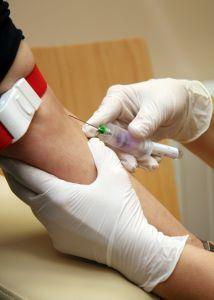 Medical assistants also often perform a variety of clinical duties. There are specific regulations that determine what clinical tasks medical assistants can and cannot perform. Duties often performed by medical assistants include drawing blood, checking blood pressure, weighing patients, and taking temperatures. Depending on where a medical assistant is employed, several medical assistants might be on hand do share the responsibility, or one medical assistant may perform all of the tasks. Since most medical assistants work in private medical offices, the duties performed depends on how many medical assistants are on staff and the needs of the particular practice. Educational requirements for medical assistants may vary from one state to another. In some states, medical assistants must complete a certificate or degree program and pass a certification exam. Even if you are in a state that does not require formal training, you may find that employers prefer to hire individuals who have a degree or certificate in medical assisting, as well as an appropriate professional certification. If you want to work in this field, it's best to complete a formal medical assisting training program prior to seeking employment. Many vocational schools, community colleges, and career training schools offer diploma and Associate degree programs. Some programs can be completed in less that a year, while degree programs typically take between 18 and 24 months of full time study. Contact schools in your area or search Allied Health Schools.com to look for training programs. You may also want to seek professional certification through the American Association of Medical Assistants or American Medical Technologists. When you are looking for work as a medical assistant, check the want ads in your local newspaper as well as online job boards. You may also want to make direct contact with medical offices in your community to inquire about openings. College job boards are a great place to look, especially if you are graduating soon and need placement. On the same token, you can get assistant with the job placement department of the college or local employment agencies. When using the latter as a source, try to find agencies that specialize in the medical field. The working conditions are typical of an office setting, but the job may be more stressful than some. Medical assistants have to deal with people who are sick, which can certainly be stressful. However, there are many rewards associated with working in this profession. If you like the idea of being able to help people and you can handle the stress of working with people who are ill, this type of job might be a great choice for you.